Mar Menor, Murcia, Spain. 10 Aug 2014. Isabel Rubio Perez. © marmenormarmayor.es. Bahia de Pollensa, Mallorca, Spain; seeds collected at 3 m depth in a Cymodocea nodosa meadow.. 15 Mar 2009. Eduardo Infantes Ordas (eduardo.infantes@uib.es). © Eduardo Infantes Ordas (eduardo.infantes@uib.es). 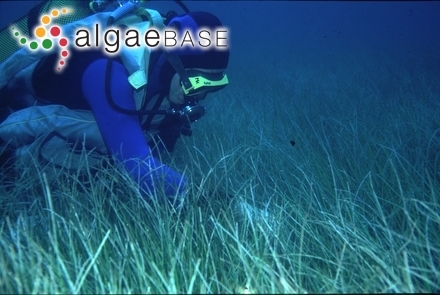 Magaluf, Balearic Islands, Spain; at 4m depth; with ephyphitic algae.. 26 Apr 2007. Eduardo Infantes Ordas (eduardo.infantes@uib.es). © Eduardo Infantes Ordas (eduardo.infantes@uib.es). 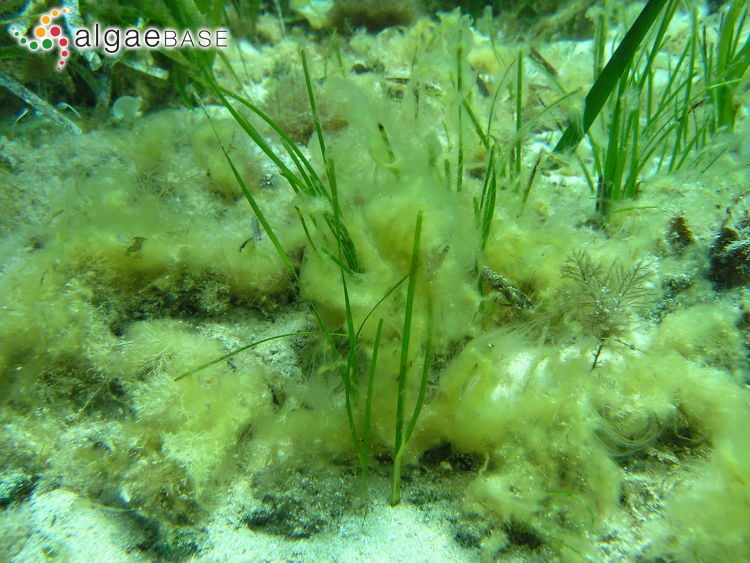 Magaluf, Balearic Islands, Spain; taken at 4m depth; with ephyphitic algae.. 26 Apr 2007. Eduardo Infantes Ordas (eduardo.infantes@uib.es). © Eduardo Infantes Ordas (eduardo.infantes@uib.es). Published in: Ascherson, P. (1870). [Sitzungs-Bericht Gesellschaft naturforschender Freunde zu Berlin am 16 Februar 1869]. Sitzungsberichte der Gesellschaft Naturforschender Freunde zu Berlin 1869: 4. Adjective (Latin), knotted, knobbly (Stearn 1973). Ascherson, P. (1889). Potamogetonaceae. In: Die natürlichen Pflanzenfamilien. (Engler, A. & Prantl, K. Eds) Vol.2, pp. 173-240. Leipzig: Wilhelm Engelmann. Accesses: This record has been accessed by users 6197 times since it was created. Afonso Carrillo, J. & Gil Rodriguez, M.C. (1978). Cymodocea Nodosa (Ucria) Ascherson (Zannichelliaceae) Y Las Praderas Submarinas O "Sebadales" En El Archipielago Canario. Vieraea 8: 365-376. Augier, H., Santimone, M. & Vincentelli, M. (1977). Contribution á l'étude de l'azote total, des protéines et des acides aminés chez la phanérogame marine Cymodocea nodosa (Ucria) Asch. et Magnus. Bulletin de la Société Phycologique de France 22: 120-126. Barberá, C., Tuya, F., Boyra, A., Sanchez-Jerez, P., Blanch, I. & Haroun, R.J. (2005). Spatial variation in the structural parameters of Cymodocea nodosa seagrass meadows in the Canary Islands: a multiscaled approach. Botanica Marina 48: 122-126. Bricout, J., Boudouresque, C.-F., Giraud, G. & Panayotidis, P. (1980). Le rapport 13C/12C chez Posidonia oceanica et Cymodocea nodosa. Trav sci Parc nation Port-Cros Fr 6: 289-292. Ceccherelli, G. & Cinelli, F. (1997). Short-term effects of nutrient enrichment of the sediment and interactions between the seagrass Cymodocea nodosa and the introduced green alga Caulerpa taxifolia in a Mediterranean bay. Journal of Experimental Marine Biology and Ecology 217: 165-177. Ceccherelli, G. & Cinelli, F. (1999). A pilot study of nutrient enriched sediments in a Cymodocea nodosa bed invaded by the introduced alga Caulerpa taxifolia. Botanica Marina 42: 409-417. Cunha, A.H. & Duarte, C.M. (2007). Biomass and leaf dynamics of Cymodocea nodosa in the Ria Formosa lagoon, south Portugal. Botanica Marina 50(1): 1-7. Del Río, L., Vidal, J., Betancor, S. & Tuya, F. (2016). Differences in herbivory intensity between the seagrass Cymodocea nodosa and the green alga Caulerpa prolifera inhabiting the same habitat. Aquatic Botany 128: 8-57. Elso, M.Z., González-Henríquez, N., García-Jiménez, P. & Robaina, R.R. (2012). Hormone-autonomous cell culture from cotyledonary tissue of the marine plant Cymodocea nodosa. Botanica Marina 55(6): 591-600. García-Sánchez, M., Korbee, N., Pérez-Ruzafa, I.M., Marcos, C., Domínguez, B., Figueroa, F.L. & Pérez-Ruzafa, A. (2012). Physiological response and photoacclimation capacity of Caulerpa prolifera (Forsskål) J.V.Lamouroux and Cymodocea nodosa (Ucria) Ascherson meadows in the Mar Menor lagoon (SE Spain). Mar. Environ Res. 79: 37-47. Grignon-Dubois, M. & Rezzonico, B. (2013). 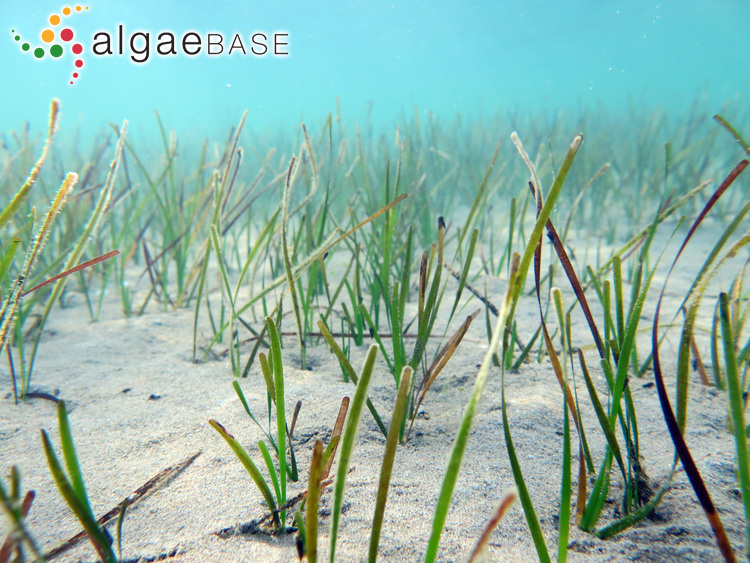 The economic potential of beach-cast seagrass - Cymodocea nodosa: a promising renewable source of chicoric acid. Botanica Marina 56(4): 303-311. Malea, P. & Haritonidis, S. (1999). Cymodocea nodosa (Uria) Aschers as a bioindicator of metals in Thermaikos Gulf, Greece, during monthly samplings. Botanica Marina 42: 419-430. Malea, P. (1993). 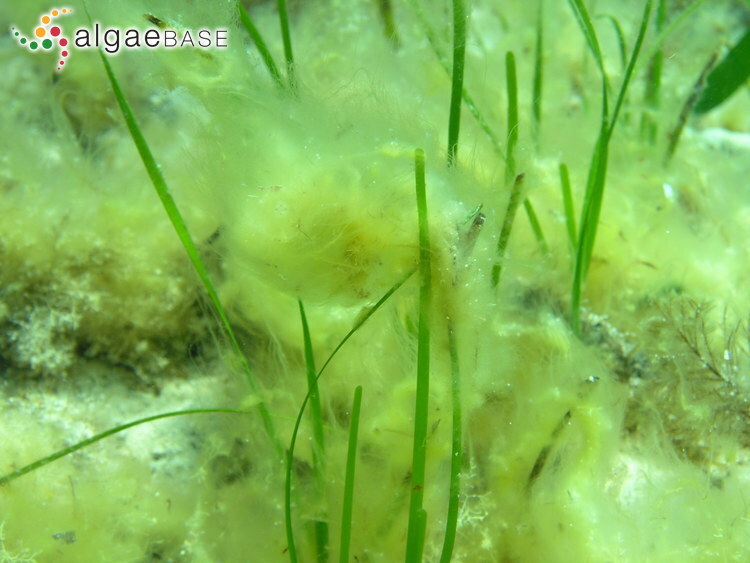 Bioaccumulation of aluminium in the seagrass Cymodocea nodosa (Ucria) Aschers. 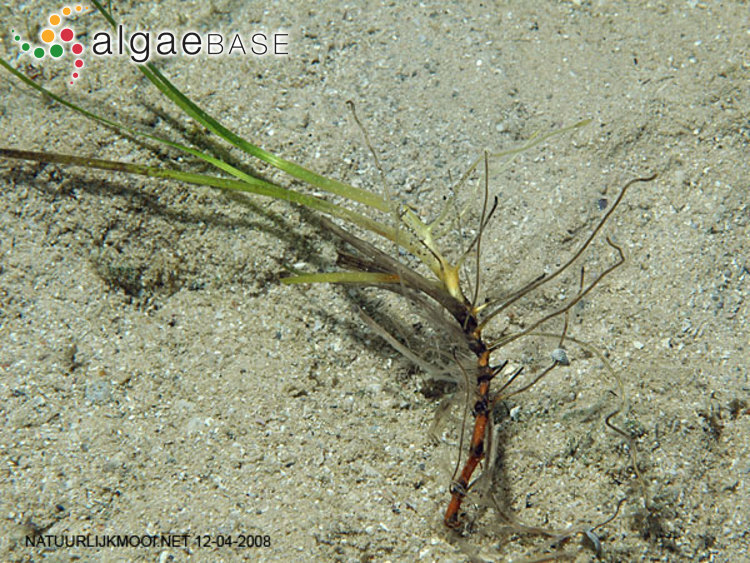 and Posidonia oceanica (L.) Delile and in macroalgae of the Gulf of Antikyra (Greece). Botanica Marina 36: 423-431, 4 figs, 7 tables. Malea, P., Kevrekids, T. Potouroglou, M. (2013). Seasonal variation of trace metal (Mn, ZN, Cu, PB, Co, Cd) concentrations in compartments of the seagrass Cymodocea nodosa. Botanica Marina 56(2): 169-184. Mascaró, O., Oliva, S., Pérez, M. & Romero, J. (2009). Spatial variability in ecological attributes of the seagrass Cymodocea nodosa. Botanica Marina 52(5): 429-438. Pérez, M., Mateo, M.A., Alcoverro, T. & Romero, J. (2001). 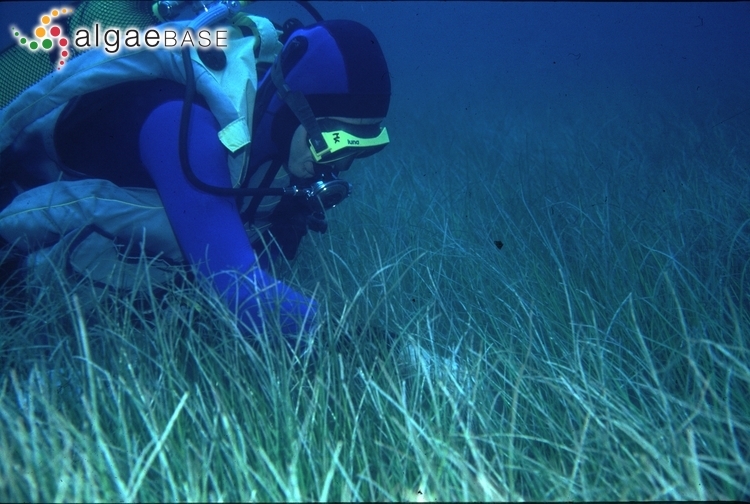 Variability in detritus stocks in beds of the seagrass Cymodocea nodosa. Botanica Marina 44: 523-531. Pérez-Ruzafa, A., Marcos, C., Bernal, C.M., Quintino, V., Freitas, R., Rodrigues, A.M., García-Sánchez, M. & Pérez-Ruzafa, I.M. (2012). Cymodocea nodosa vs. Caulerpa prolifera: Causes and consequences of a long term history of interaction in macrophyte meadows in the mar Menor coastal lagoon (Spain, Southwestern Mediterranean). Est. Coastal Shelf. Sci 110: 101-115. Rende, S.F., Stroobant, M., Santana del Pino, A. & Polifrone, M. (2012). Application of image analysis software to the morphometrics of Posidonia oceanica (L.) Delile and Cymodocea nodosa (Ucria) Ascherson. Botanica Marina 55(3): 301-305. Reyes, J. & Afonso-Carrillo, J. (1995). Morphology and distribution of nongeniculate coralline algae (Corallinaceae, Rhodophyta) on the leaves of the seagrass Cymodocea nodosa (Cymodoceaceae). Phycologia 34: 179-190, 21 figs, 4 tables. Reyes, J. & Sansón, M. (1997). Temporal distribution and reproductive phenology of the epiphytes on Cymodocea nodosa leaves in the Canary Islands. Botanica Marina 40: 193-201. Reyes, J. & Sansón, M. (2001). Biomass and production of the epiphytes on the leaves of Cymodocea nodosa in the Canary Islands. Botanica Marina 44: 307-313. Reyes, J., Sansón, M. & Afonso-Carrillo, J. (1998). Distribution of the epiphytes along the leaves of Cymodocea nodosa in the Canary Islands. Botanica Marina 41: 543-552. Sghaier, Y,R., Zakhama-Sraieb, R. & Charfi-Cheikhrouha, F. (2011). Primary production and biomass in a Cymodocea nodosa meadow in the Ghar El Melh lagoon, Tunisia. Botanic Marina 54(4): 411-418. Tuya Cortés, F., Betancor, S., Fabbri, F., Espino, F. & Haroun Tabraue, R.J. (2016). Photo-physiological performance and short-term acclimation of two coexisting macrophytes (Cymodocea nodosa and Caulerpa prolifera) with depth. Scientia Marina 80(2): 247-259. Zarranz, M.E., González-Henriquez, N., Garcia-Jiménez, P. & Robaina, R.R. (2010). 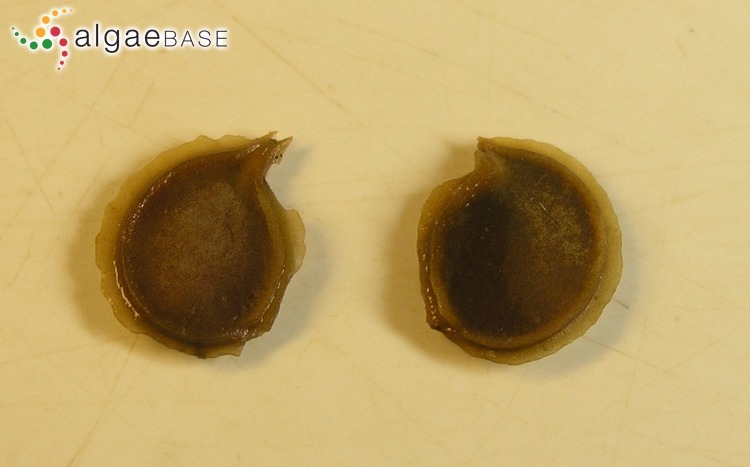 Restoration of Cymodocea nodosa (Uchria) Ascherson seagrass meadows through seed propogation: seed storage and influences of plant hormones and mineral nutrients on seedling growth in vitro. Botanica Marina 53(5): 439-448. Zarranz, M.E., González-Henriquez, N., Garcia-Jiménez, P. & Robaina, R.R. (2010). Restoration of Cymodocea nodosa seagrass meadows through seed propogation: germinationin vitro, seedling culture and field transplants. Botanica Marina 53(2): 173-181.